Hi girls! Would you like to possess superpowers? For example, to be able to fly or read minds? Let's imagine that all Disney princesses have received some kind of strength and now they need super suits princesses. Guess which costume it will be better to go? 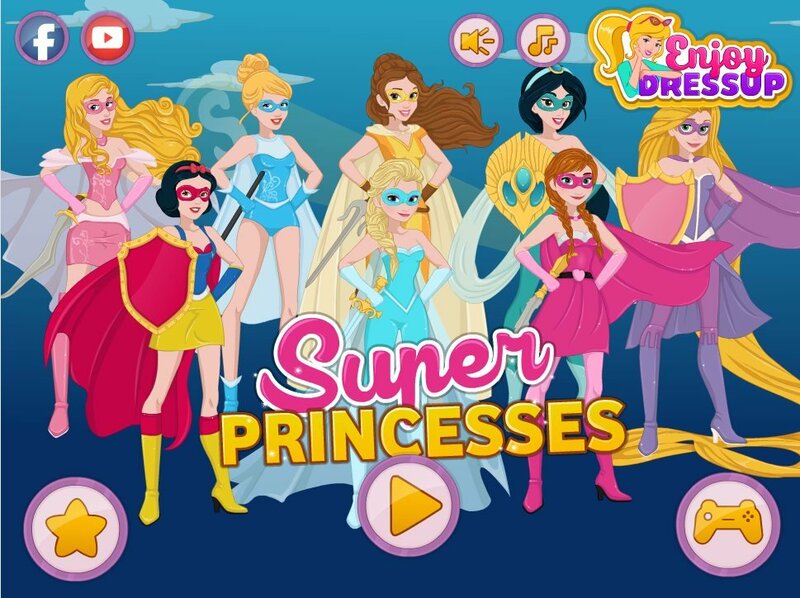 How to play: in this Super Princesses Disney dress up game you can think of how they would look if I had super strength! Select any of the girls and start to choose them bright and attractive dresses, hairstyles and even weapon! Played: 45153. Added: 25-09-2015, 09:28. Super Princess Disney dress up game.